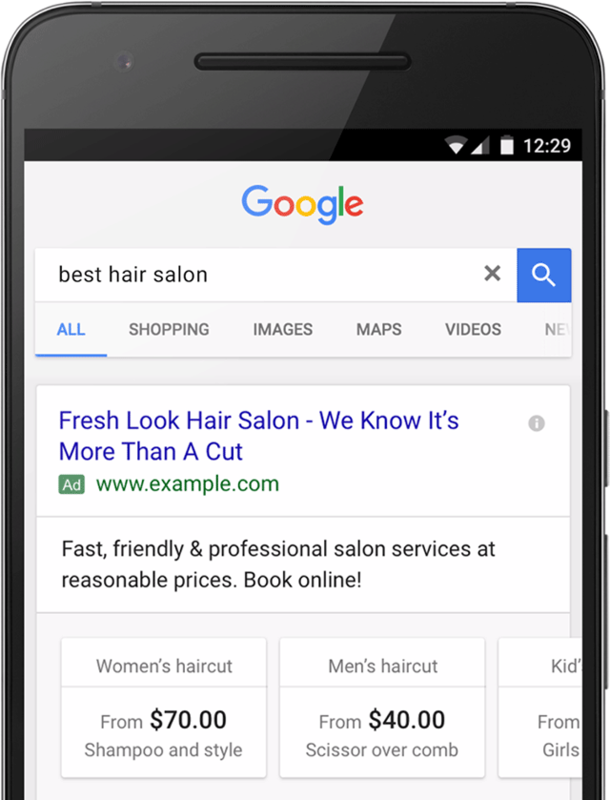 We saw this coming months ago - Google is bringing the swipable carousel cards to the AdWords snippets. This is specifically for price extensions, Google said on Google+ "in the coming weeks, price extensions will begin showing as swipeable cards, making it easier for people to compare more options when deciding what to buy." This new format will also be rolling out to 10 additional languages and 24 currencies, Google said. People will be able to swipe through up to 8 cards - an increase from the previous 3-row format. Each card features a type of product or service, its description and price, and a link to a relevant landing page. In early testing, the interactive format and additional cards have helped advertisers drive more qualified clicks and better ad performance. With this new, swipeable format, you’ll still only be charged for clicks to your website and other ad extensions. In addition to English, you can also now create price extensions in German, French, Spanish, Italian, Japanese, Portuguese, Dutch, Russian, Polish, and Swedish. Previous story: Google AdSense Spam Spoofing Impressions & Earnings Reports?